Shanidev is the most feared deity in Hindu Religion. He plays the role of a judge in human lives and depending on our Karmas reward or punish us. According to Vedic Astrology Shanaiswar is representation of the Planet Saturn and is a very slow moving Planet. Saturn is generally known to affect one adversely on occasions when he occupies certain positions in one's horoscope like the Saade Sati (7 1/2 years) ,Ashtama Shanaiswara (Saturn in 8th house - 2 1/2 years) etc. 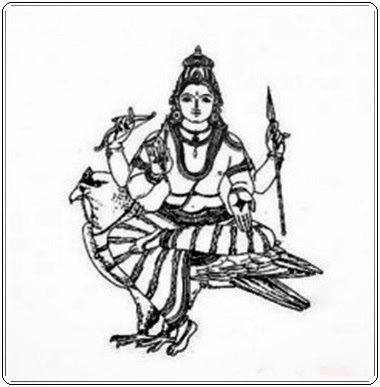 Chanting the Shani Mantra reduces the malefic effects of Saturn in Horoscope. Given below are some Mantras of Shani dev. I bow to Lord Shani, who is black in colour and son of Sun and born to Chaya and brother of Yama , who moves very slowly.